On September 11, 2017, DK Law Group, LLP filed a Class Action Complaint against Mecta Corporation and Somatics, LLC, the manufacturers of ECT shock devices. It alleges that the manufacturers caused injury to patients by withholding from the FDA data relating to serious iatrogenic brain injuries resulting from ECT, in violation of federal medical device regulations, resulting in a lack of public disclosure of the risk of iatrogenic brain injury and a grossly inadequate warning to patients. On December 10, 2017, the named Plaintiffs filed their Motion for Class Certification. This is a document that Plaintiffs must file in every class action. It is the Plaintiffs’ chance to assert to the Court that the case can move forward as a class action, rather than as a series of individual actions. The argument over class certification between parties is often the most contentious and hard-fought battle in class action cases, due to the significant stakes for each side. If class certification is denied, plaintiffs must shoulder the immense burden of filing suit on behalf of everyone individually if they wish to proceed. In our motion, we argue that that this case presents the rare situation involving personal injuries that are properly certified as a class action, in which there are significant questions common among every single class member. When appropriate, a federal court can resolve the common questions first, and leave the remaining individual issues to prove up in separate mini-trials for groups of victims. The common questions here include Defendants’ regulatory compliance or lack thereof, whether the FDA’s regulatory regime should prevent these Plaintiffs from suing, and whether ECT can cause electrical injury to the brain when used as intended. Plaintiffs assert that these common questions are of such significance, both in terms of relative magnitude within the case and in terms of the public’s interest in their common resolution, that the proper way to proceed is as a bifurcated class action. Defendants fraudulently concealed the fact that ECT causes concussive brain injury, concealed all of the complaints they received from ECT victims by failing to submit adverse event reports, concealed the seriousness of the injuries inflicted upon members of the putative class, and concealed their regulatory noncompliance, tolling the statute of limitations for all Plaintiffs. Moreover, many putative class members did not know, nor should they reasonably have known, about the conduct giving rise to this suit — namely Defendants’ comprehensive failure to comply with the Medical Device Reporting obligation of the Food, Drug and Cosmetic Act, failure to comply with the adulteration and misbranding obligations of the Food, Drug and Cosmetic Act, and failure to submit all safety and effectiveness data to the FDA in response to its three orders. Finally, Defendants are equitably estopped from asserting the statute of limitations. The Scheduling Conference will take place Monday, February 5. There, the Court and parties will discuss procedural issues and make a good-faith attempt to resolve them, as well as work out a discovery and motion schedule. The hearing on class certification is scheduled for March 12. The parties will hold argument on the propriety of class certification. Both sides will fight tooth and nail here. DK Law Group LLP filed a class action in federal court against the manufacturers of Electroconvulsive Therapy devices (ECT) on behalf of every person who has been injured by electroconvulsive therapy in California since May of 1982. The lawsuit was based on traditional state-law negligence principles, and the manufacturers’ failure to comply with their obligations to the FDA. Yes, the companies withheld the fact their torture devices caused concussive, traumatic brain injuries, and the “doctors” and hospitals withheld and continue to withhold this information as they continue destroying lives and families. The FDA has been complicit in covering up the dangers of this instrument of torture instead of banning its use after repeated reports of injuries. I hope there is a decent judge ruling on the certification. There should be lawsuits sending ECT practitioners to prison where they belong. Difficult for me, given my ECT induced brain injuries, to wade through these documents. I have no faith in juries after the recent trial of Dr. Dadi, who lost his case when jurors bought the story his catastrophic memory loss and cognitive dysfunction was the result of “mental illness”, not repeated Craniocerebral electrical damage from ECT. I admire the effort your firm has put into bringing this class action before the courts. I’m sorry to hear about the injury you suffered, truth. I meant to point out that the defense is asserting that all those psychiatrists who administered ECT are proper codefendants. Plaintiffs assert that, to the extent a psychiatrist contributed to a class member’s injury, the manufacturers can sue him or her separately to satisfy a judgment against the manufacturers in this action. Thank-you for clarifying that point. Why would the defence want to make this assertion? They would assert this point to shift some of the blame to third parties, so they aren’t the only entities responsible in the event of a massive judgment. This would be way down the road, though – a lot has to happen before we get to that point. So in 1994, I think, the complex breast implant class action was settled for 3.7 billion over 30 years, with sliding scales for amount of injuries, age of plaintiff,… But no requirement that the implant victims prove their scleroderma or other injuries were caused by the faulty implants. How large a settlement could this shock claim entail and how many plaintiffs are you estimating it will include? Will they be required to prove their damages and provide a raft of paperwork, tests, scans, and so on?? How many years could this take? Those are questions that I can’t answer just yet. Tomorrow is the Scheduling Conference in which the District Court will narrow and clarify the issues and give us an idea of how the case will proceed. The amount of plaintiffs and the value of any potential settlement will depend on the court’s view of the issues, most particularly the statute of limitations. It will also likely depend on the outcome of a class trial, if the court certifies the action in the coming months (years? Courts vary in the amount of time spent deliberating over class certification). In short, we don’t know yet. I’m not sure I understand all the legal stuff but best of luck anyway. Thanks Bramble. I know it sounds like a bunch of jargon. I’d be happy to explain anything, if you’d like. No, don’t waste your time explaining to me. Just win the case! I promise we will do everything we can to work up the case to the best of our ability. Ultimately, the factual questions are for the jury, and the legal questions are for the judge. Connor, bottom of page 7 of the Joint report: “In the United States, over one million patients are estimated to receive ECT each year.” What?! I think psychiatrists say one hundred thousand a year in the US, although even that is just a wild guess rather than based on any actual figures. I have seen them say a million in the world every year – another wild guess. Or maybe they are talking about the number of individual treatments per year in USA, that is, each person having about 10 treatments? We were under the impression that one hundred thousand was the number as well. Apparently, we were mistaken. 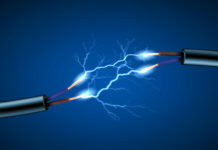 As Defendants have written that section of the Joint Report, it suggests that psychiatrists induce major motor seizures through application of electricity to the crania of one million separate patients per year within the United States alone. More walking wounded every day. The profit $ is the driving factor. Sickening the list of the so called distinguished and noble institutions brain damaging patients and ignoring their victims’ complaints and the science showing ECT causes brain damage, always. There’s me fallen at the first hurdle – spotting the difference between the plaintiffs and the defendants! Can you challenge them if they are talking rubbish? A million a year is patently absurd. Where do the get it from? Even 100,000 a year is I think a very (decades) old estimate. If you look at Texas, where they actually count, it is a much lower rate. Does California keep statistics? Another bit of rubbish the defendants say: “ECT is a medical procedure performed under general anesthesia in which small electric pulses are passed through the brain… ” Would it be possible I wonder to modify an ECT machine to deliver a shock exactly like in ECT but turned down to a level where it is a slightly painful shock but not dangerous – like say 8 milliamps instead of 800 milliamps? And then ask the defendants what it feels like? I don’t think you would feel pulses because they come at typically 70 a second which would feel continuous I think. And then ask them to imagine it one hundred times bigger, which is what ECT is. Just checking that figure of one million: is it really one million people, or is it one million ECT sessions? Total, that is a little under 10 millions psychotics. Because psych-drugs shorten their lives by 25 years, once diagnosed and poisoned, they live for about 40 years (from 20 to 60). Thus, 10 millions psychotics divided by 40 years, that is about 250,000 new psychotic cases per year. So, IF 100,000 people/year get 10 sessions ECT each, THEN that is 1 million ECT sessions/year. IF ever it is one million people/year, THEN within 10 years, all the 10 millions psychotics have been administered ECTs. IF ever it is one million people/year, then after 40 years, 40 million people having had ECT would be running around. Hence the figures of 100,000 psychotics getting a total of one million ECT sessions look more credible to me. Again, IF it is a total one million people/year, thus 40 million people within 40 years, where would the other 900,000 people/year come from? Depot Fluphenazine Decoanate was identified in 1983 by Dr Allen France’s as Potentially Lethal. My hunch is that hiding Adverse Drug Reaction to drugs that can go on to kill people is internationally “commonplace or acceptable” in Psychiatry and therefore practiced by many doctors. My Doctor Surgery, Newton Medical, Central London, UK. 2. The November 24, 1986 Irish Record Summary (2 pages) – With Requested Adverse Drug Reaction Warning Intentionally OMMITTED. Why is this posted here? It is unrelated to the article. It involves exposure (with reference to documentary evidence) of “commonplace” medically psychopathic behaviour within “Mental Health”. It might be perfectly legal to hide Adverse Drug Reaction to drugs that can at a later date kill a person, I don’t know. (The drugs in question, have been widely used and the death rate on them has been very high. They’ve been around for about 60 years, but are now being discontinued in different countries). We also want drug toxicity – this is what is really making people ill… and killing people – to be proved with pharmacogenetics and the negligence of doctors of not informing patients of all the known common foods that inhibit Cytochrome P450 enzyme. Then those who died by suicide (usually akathisia) under ‘MH care’ or being killed by someone toxic can get justice. Do you know about this Connor ? I have two questions. You say “this case presents the *rare* situation…” (Emphasis added) Aren’t many class action suits about personal physical injury? What makes this case rare? You also say “the proper way to proceed is as a bifurcated class action”. What is a bifurcated class action? Actually, physical injuries are rarely certified for class treatment. Almost all class actions involve economic injury. A “bifurcated” class action is one split into two parts. Here, it would be split into two phases if all goes well: issues common to everyone first, then individualized ones later. Thanks Connor. I guess that in general the remedy sought is damages for economic injury that in turn was caused by physical injury. Here the plaintiffs aren’t seeking damages? The only remedy sought is that the defendants cease producing? Then what is the plaintiffs’ standing? We are absolutely seeking damages. The sought damages are pain, suffering, inconvenience, emotional distress, lost earnings, lost earning capacity, medical expenses, and punitive damages for those injured in California. Our contention is that, while individual damages are variable, defendants’ conduct and the scientific/regulatory issues concerning the devices are common among every single class member, warranting a two-phase class action. The unusual part of this Complaint is that it is seeking class certification for personal injuries. Normally, class actions involving product defects seek a remedy for the diminished dollar value of the product or cost of repair (or some other easily-measured metric of economic loss). Here, we are seeking class certification of a case involving physical injuries, and are arguing that this is the rare situation involving physical injury in which class certification is proper. It has happened in other cases before (asbestosis cases, atrocities by the Marcos regime, etc.) but only rarely. 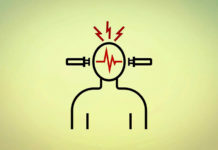 Plaintiffs assert that the extraordinary circumstances and significant common questions surrounding ECT devices make this the rare situation where personal injuries are appropriately certified for class treatment. I’m not a lwayer, but I’ve read my share of legal documents over the years, including copies of case filings. Any lawsuit, especially a Federal Class Action such as this one, is a VERY difficult read! But what’s here on this page, is VERY WELL written, and as clear and concise as possible. And I haven’t even gotten to the linked documents, yet! I work with a close friend, who had Electro-Cution Torture(“ECT”) many years ago. She claims that it “did nothing”, and “had no effect”. I disagree. I see subtle, but pervasive “damage”/effects. So, while she probably wouldn’t claim “harm”, herself, she might claim “lack of benefit”. Are persons such as her, included in the active class participants? KEEP UP THE GOOD WORK, Connor! I am literally so moved, and grateful to see this, and impressed by it’s quality all around, that I’m almost crying. Literally almost crying. I hope you noted my linguistic construction: “ECT” = Electro-Cution Torture = “ECT”…. Perhaps you could “sneak” that into the court documents, somehow?…. If a class is certified, anyone who suffered an injury from for which there was an inadequate warning would be an appropriate plaintiff, so long as he or she is willing to come forward. She would just have to acknowledge it. This should cheer us up http://www.mononews.ca/news/9993/electroconvulsive-therapy-devices-market-estimated-to-flourish-by-2024. Connor, you might enjoy reading the stories at http://www.ECTstories.com – the site id still under construction. All the best. Hopefully DK lawfirm will bring about a judgement that bankrupts MECTA and Somatics so there are no devices to supply. I googled the judge who is described as “pro- govt”, “pro-institution” and conservative, age 77. Don’t think that is a good thing. Disheartened to hear it could take months or even years?? To decide on whether a class action is certified. Why is that?? Can you give your opinion of what you think will happen with the 1982 time frame and the statute of limitations regarding the plaintiffs? I think this suit also includes “economic damages” in terms of the loss of career and income that victims of ECT and their families face. I absolutely applaud your efforts and the willingness of your firm to fight for justice for the people injured by these devices of torture. It is my understanding that over 200 lawfirms refused to take this case before you stepped up to the plate. That shows courage, tenacity, and a willingness to represent a marginalized group of people- those labelled with mental health issues. I hope you decimate MECTA and Somatics and their lawyers. In the event that the class action certification is denied, does that mean all future such actions in any state cannot be filed or pursued?? Thank you for your time. You are amazing. The timing of the certification decision is within the discretion of the judge. Sometimes the judge will order extensive discovery before holding a hearing on certification, sometimes the judge won’t. It is variable. With respect to the statute of limitations, it depends on what a jury thinks. If a jury says the defendants’ conduct made it impossible for a plaintiff to reasonably know the facts giving rise to his or her claim, or acted in ways that would make it intrinsically unfair for them to assert statute of limitations as a defense, they may be precluded entirely from asserting it. Our position is that this would be the appropriate result. A denial of class certification would have no preclusive effect on any case other than ones asserting the same theory on behalf of the same plaintiffs in California. This certainly does NOT happen in a MH unit nor by a GP. They just do not want to know. If there is any weaning it is far far too short. I want to know if they can be held to account in a UK civil or even criminal court of law on the basis of that information in the BNF…also is the 3 year limit for bringing action rigid, that is if it is after 3 years, what ever the circumstance that prevented you bringing the case including the harm done to you, you can not being a case…. any UK lawyer out there ? As Connor pointed out to me, the million figure comes from the defendants (the ECT machine manufacturers) and is obviously absurd. Yes, a possible explanation would be that they are getting confused between treatments and people. Or perhaps they are trying to convince people that ECT is an incredibly common treatment, or they may have extrapolated from one hospital that uses an unusually high amount of ECT. The figure usually quoted by psychiatrists in US is 100,000 a year but this is a very old estimate. No-one knows how many people actually undergo ECT in the US because most states don’t keep count. Texas (pop about 28 million) is an exception and collects and publishes figures – about 2 to 3 thousand people a year. But it would be dangerous to extrapolate to the whole US, as ECT is characterised by wide variation in its use. Could I just point out a couple of things about your reasoning. In the US, ECT is used predominantly as a treatment for depression – you don’t have to have been diagnosed as psychotic (and there is an almost limitless number of people who can be diagnosed as depressed). Of course it is used on people with other diagnoses as well – schizophrenia, children with autism, older people with dementia. Another point to bear in mind is that people often have multiple courses of ECT, or are on maintenance ECT, so will appear in the statistics for more than one year. Yes, and in addition to your list, let’s remember the high number of depressive women in their fifties, being abused and blurred to ECT by male psychiatrists. In 2013, in the Netherlands, a series of 10 ECT sessions costed some € 30,000. Each session at € 3,000 covers the fees for the psychiatrist (325 €/hour in Belgium), the anaesthetist, the nurses, and the cleaner, plus the bed for the day. In the USA, as psychiatry costs are usually higher than in Europe, it may be more US$ 30,000 for a series of 10 ECT sessions. Thus, for the moment being, let’s assume a minimum of US$ 30,000. So, 100,000 persons/year, times 30,000 US$/person, that is a turn-over (T.O.) of some 3 billion US$/year. If it is one million persons (ten times more), then, it is a T.O. of some 30 billion US$/year. I believe that 3 to 30 billion US$/year, i.e. a very high level of greediness, is what motivates psychiatrists to be reckless and ruthless to their patients and to cause them brain damages. Then, denying brain damages, ensures a permanent yearly income. To follow the money trail explains a lot of things, including many nasty things indeed. And, yes, various surveys have found men more likely than women to prescribe ECT. In the Netherlands ECT nearly disappeared in the 1970s but now it is back again, along with psychosurgery and deep brain stimulation. As an attorney you likely understand that the impetus for courts making people-friendly decisions has less to do with finely-honed legal arguments (though these help too) than the amount of public pressure on the court. Keeping this in mind I suggest a public focus on point 3: whether ECT can cause electrical injury to the brain when used as intended; the rest in the eyes of the public is boring legal minutia. 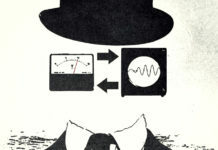 In furtherance of this goal all available energy should be utilized to present a parade of anti-shock experts, starting with Peter Breggin, to testify as to the demonstrated horrors of electroshock; the would be a spectacle that the press would glom onto, and at the appropriate point a demonstration spearheaded by activist shock victims could be mobilized. Win or lose this would highlight the issue for a significant number of people both locally and nationally/internationally. I’m sure you would find some volunteers to help expedite this, there are lots of anti-shock people out there looking for an action to support. Btw a conservative judge would possibly more reasonable than a liberal one, and less susceptible to psychiatric mumbo-jumbo. But there are no hard & fast probabilities, it depends on the individual judge and what medico-pharma connections he or she has. If a class is certified, we will have to provide notice to the California class anyway, which would entail publicity. In that case (or if we proceed to trial on behalf of our five plaintiffs after denial of class certification) we intend to set up a Patreon account to hopefully help generate the financial muster to cover adequate expert testimony and fuel the debate on an even playing field against such powerful institutional forces. While DK Law Group, LLP is no slouch of a firm, and we have very strong evidence in support of our positions, we are up against a juggernaut here. Next update will be after the certification decision, win or lose. Thanks for your response. I don’t want to waste your time here but am wondering what providing notice to the “California class” would entail in terms of media “visuals,” etc. Also what the chances of having multiple high-profile experts approved by the court might be. You are not wasting my time at all. I intended to start a conversation with this post. Near the end od our class certification motion, there is a discussion of two proposed methods of class notice. One involves essentially a HIPAA exception for litigation in conjunction with a protective order (more thorough but less likely to satisfy the Court for class certification purposes) or mailers to known class members in conjunction with a “PR blitz” (more likely to satisfy the court, in my opinion, but who knows). I think you’re right about volunteers being capable of doing much of the leg work with respect to class notice. Yes, Dr. Breggin is a valuable expert witness, but I have heard he charges outrageous sums for his testimony. If he is such a champion of the cause, he shouldn’t make it a giant moneymaker. Other experts such as neurologists and electrical injury experts are need to make it very clear what the mechanism of injury is. I have serious concerns about the kind of money MECTA and Somatics have to throw at their defence. at 3.20 minutes it shows the shock being given and the man’s arms fly up. How does that happen – when he is anaesthetised and paralysed? I also thought that he seems to be having quite a violent seizure, considering he has been given muscle paralysing drugs. I recently saw someone having a spontaneous seizure and it didn’t look worse than that. Connor M. Karen, what a brilliant, ambitious young man you are! Yes, my psychiatrist recommended ECT’s to ‘fix’ my drug induced severe, crippling depressions. After about the 10th shock treatment I began experiencing severe short term memory loss where I became extremely violent so my Dr. discontinued them. So where is my mind today after being drugged for decades, ECT’s, and multiple cold-turkey withdrawals? I’ve lost 85% of my lifetime personal memories. Wiped out, gone. I have abnormal EEG’s from a Klonopin cold-turkey withdrawal, from the seizures (I’m guessing), that effect me every night just like clockwork. They’re not pleasant. I’m dyslexic now when I never was before which I actually find humorous. But I sure am one happy camper to finally be drug free, and free from the death grip of Psychiatry. Best of luck to you Conner. You’re a remarkable young man. If the case advances and the plaintiffs intend to look at a defence of “voluntary assumption of risk”, how does that play out when varied “consent” forms for different clinics or hospitals failed to clearly state the risk as permanent brain damage, loss of decades of memory, cognitive dysfunction, personality changes, worsening of psychiatric disorder…and so on. Is it just “assumed” you sign up for any untoward outcome even though you have not been told this is an experimental and unproven intervention and the machines have never been tested for safety or efficacy? So, most of this action is based on questions regarding the actions of the manufacturers and their failure to comply with regulations and warn. Later, if there are individual suits, what kind of experts are they likely to call? Does their characterization of this as simply a bid like the Atzi Akkerman class action that failed have any merit? Our position is that all of the individual Plaintiffs should withstand that defense for exactly the reasons you state: the consent forms are deficient and Plaintiffs did not get adequate warning of concussive brain injury, permanent memory loss, cognitive dysfunction, etc. It is absolutely not assumed that patients sign up for any untoward outcome in risky medical procedures. In California, physicians (and psychiatrists) have no discretion to withhold warning of any unavoidable risk of serious injury or death – they must explain the risk in lay terms to patients. Even if the risk is stated in a consent form (which, for ECT, the risk of concussive brain injury is not), a jury might find that warning of the risk was too inconspicuous, insufficiently communicated, or otherwise inadequate in some way. Plaintiffs’ position is that, if Defendants’ regulatory compliance were not deficient (it is), adverse event information would have appeared on MAUDE and would have been discussed within the psychiatric community (as would be expected of a responsible psychiatric community) and the informed consent procedures given to patients would not be as deficient with respect to warnings as they are. In that way, Defendants’ regulatory noncompliance caused, without informed consent, concussive brain injury, permanent memory loss, and all of the associated pathology, to the class. Our position is that their comparison of this action to Akkerman v. Mecta Corp. is meritless.